Lead is a toxic metal that is especially harmful to brain development in children under age 6 and babies still growing in the womb. Many paint producers across the globe continue to sell paints with high, unsafe lead levels. 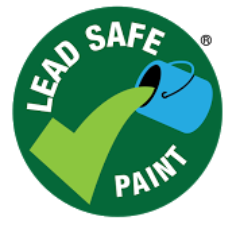 Lead Safe Paint® certification ensures that the paint a customer is buying contains total lead levels below 90 ppm, the strictest lead limit established by any government anywhere in the world. As lead paint chips off, wears, and deteriorates over time, it releases lead to dust and soil. Children playing inside and outdoors get the lead-contaminated dust or soil on their hands and then ingest it through normal hand-to-mouth activity. Lead exposure is particularly devastating for children under age 6 because it affects the developing brain. The effects include intellectual impairment, impulse control and attention-related behavioral problems. These and other impacts on the brain appear to be irreversible and lifelong.